Cooperatives bring tremendous value to people and communities around the world. They are businesses that are owned and controlled by the people who use them and that return profits back to their members. Cooperatives exist in every industry, every geographic area, in rural and urban areas, serving rich and poor. It is a way of doing business as old as human life. Co-ops are owned by consumers, producers/farmers, workers, businesses/organizations, municipalities and governments, and other co-ops. Cooperative businesses exist to meet their members’ needs and they are focused more on service than investment. Cooperatives are owned and controlled by their members. Increased local control keeps the co-op in the community. In this business structure, profits return to members, thus money is kept within a community. Consumers believe co-ops have better products and services at a lower cost. Rhode Island College, the state’s oldest public institution for higher learning, is home for RIC Cooperative Playschool. A cooperative preschool is formed by a group of parents who organize to provide their children with a quality early childhood program. Consumer Cooperative: A consumer cooperative is a purchasing organization, usually retail in nature, that is formed by and for the benefit of the consumer. Consumer cooperatives are guided by the principle that the process of producing and distributing goods and services shouldn’t be controlled by major corporations with the goal of maximizing profit. Instead, they should be owned, controlled and directed by the consumer to supply his or her economic needs. Members benefit by gaining access to quality goods and services, many otherwise unavailable, based on their level of involvement with the cooperative. By acting together, members have an economy of size and increase their bargaining power. Members also share the earnings. When the organization generates profits, members receive earnings based on their level of involvement with the cooperative. Some examples of of consumer cooperatives are credit unions, natural food co-ops, rural electric co-ops, housing co-ops, energy co-ops, and other co-ops such as Mad River Glen ski area or REI. 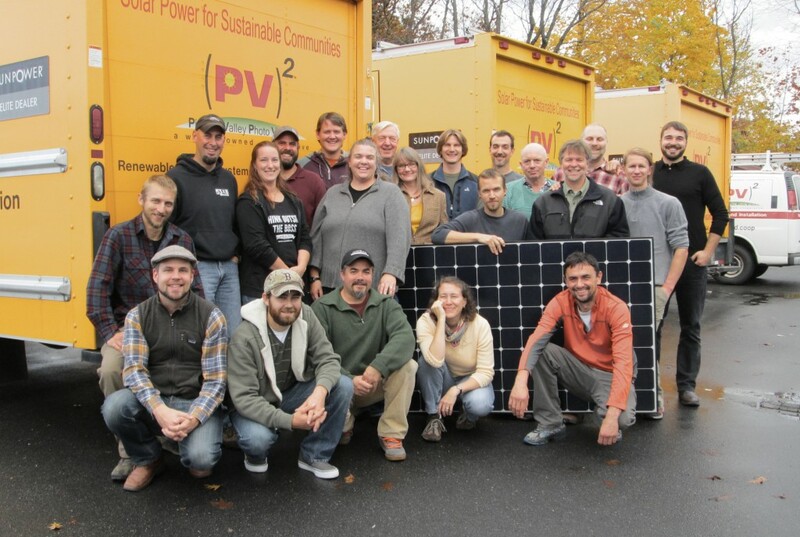 PV Squared is a worker-owned cooperative based in western Massachusetts that provides assistance with renewable energy systems. Worker Cooperative: A worker-owned cooperative is just that — an organization owned and operated by the workers or staff of the business. Although one of the smallest segments of the cooperative community in the U.S., it’s also one of the fastest-growing, as people realize that the surest way to love and keep your job is to own it. Worker co-ops may be formed by freelancers joining forces, entrepreneurs eager to share the ups and downs of founding a business, or conversion of existing businesses to worker ownership as a retirement strategy for owners. Larger companies can also explore the option of Employee Stock Ownership Plans or ESOPs, which give workers a stake in the success of the business and allow for similar kinds of participation and democracy in the workplace (though these are not required for ESOPs, as they are for co-ops). Special tax incentives exist for owners selling their companies to worker co-ops or ESOPs. Employee-owned companies are “fast companies.” They are usually well managed, they encourage innovation and they achieve high levels of productivity. Producer Cooperative: Owned and operated by producers working either separately or as a group, a producer cooperative is an organization formed to offer its members expanded marketing capabilities and production efficacy. After allowing for the expenses of operation and funds allocated for expansion or reserves, it operates on a cost basis for the mutual benefit of its members and stockholders, as producer or patrons. Business or Organization-Owned Cooperative: A business or organization-owned cooperative is an organization owned by a group of businesses or organizations, such as municipalities, for their mutual benefit. These businesses cooperate with each other, forming an alliance to purchase goods and services at a total cost that is substantially less than the costs that would be incurred by individual businesses acting alone. By purchasing cooperatively, their buying activity becomes more efficient. They also save through lower administrative costs and guaranteed levels of business with vendors and suppliers. The member businesses that belong to the co-op agree to pay set fees, participate in governing the co-op and use its services. A business-owned co-op has a democratically-elected Board of Directors to oversee policies and operations and hire management personnel, who in turn hire staff and implement the Board’s policies. Business-owned cooperatives are common in the telecommunications and electric utility industries. Some well known shared services co-ops include True Value and Ace Hardware stores, Best Western hotels, and the Associated Press (AP). You can continue learning about cooperatives at Cultivate.coop.